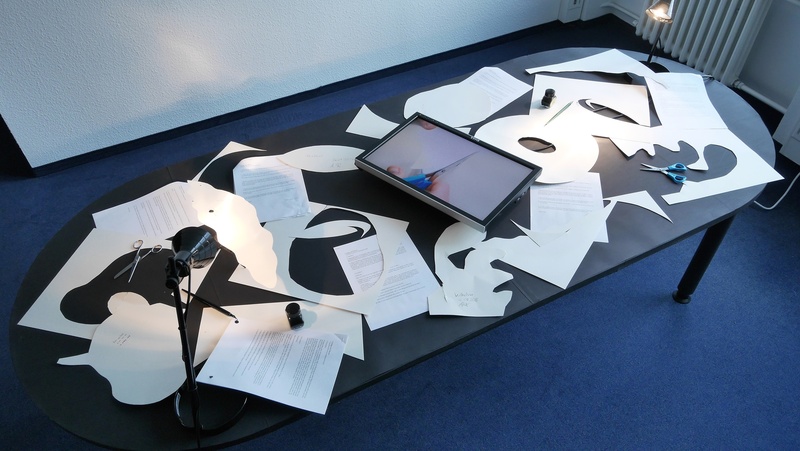 This is a video installation which was created with the cooperation of Graduate School for the Humanities Cologne. 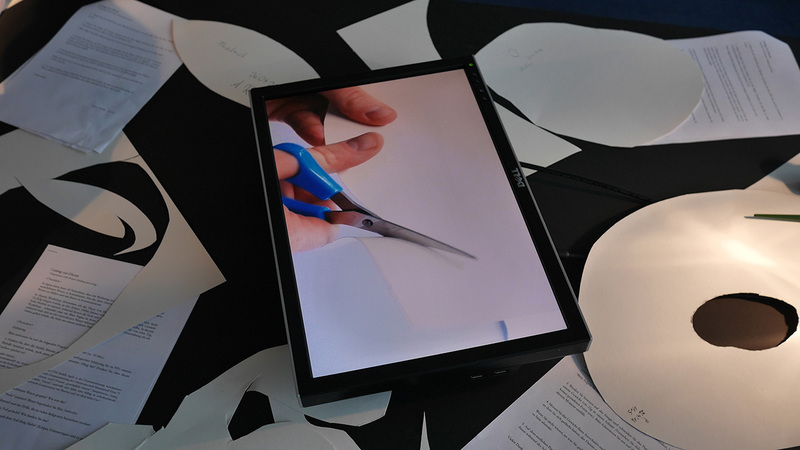 It is a scene that participants are cutting out papers into the shape of ghost how they image after a discussion about the boundary of this world that contains death and invisible existence. 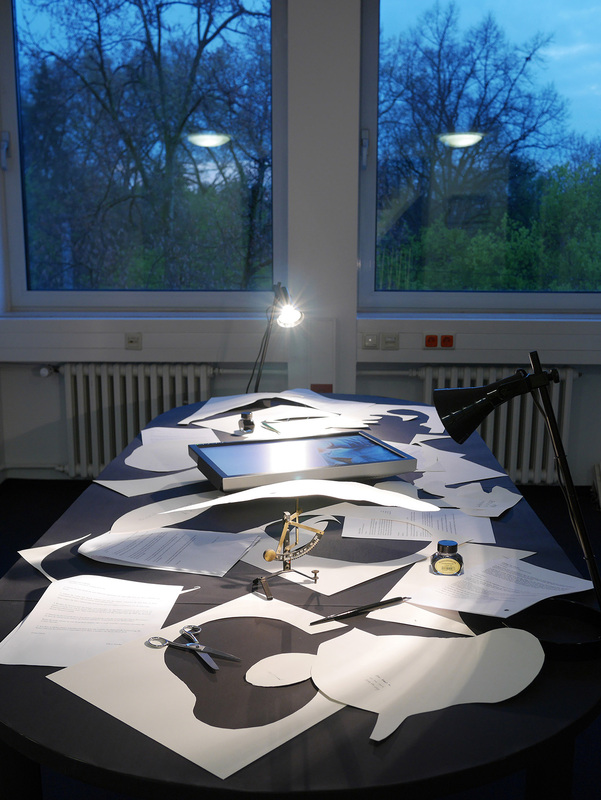 This project aims to demand and promote a dialogue between art and science, and attempt to go beyond the perceptible limit of human.